When you’re a famous actor or musician, you’ll never know when you need your stunt double to stand in while you do incredibly important famous person things. 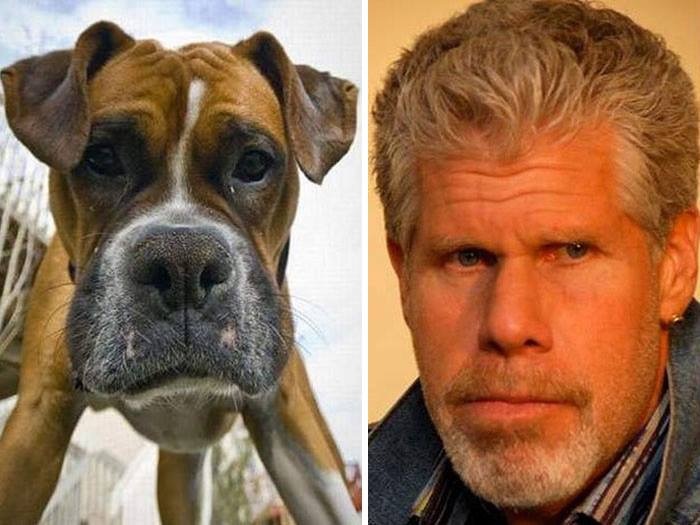 In a pinch, these pet doppelgängers would easily pass for their human counterparts. They say imitation is the sincerest form of flattery, right? Check out these pet doubles and tell me they aren’t going to take the film and music industries by storm, while their humans are busy with silly things like the Academy Awards or sleep. Harrison Ford. 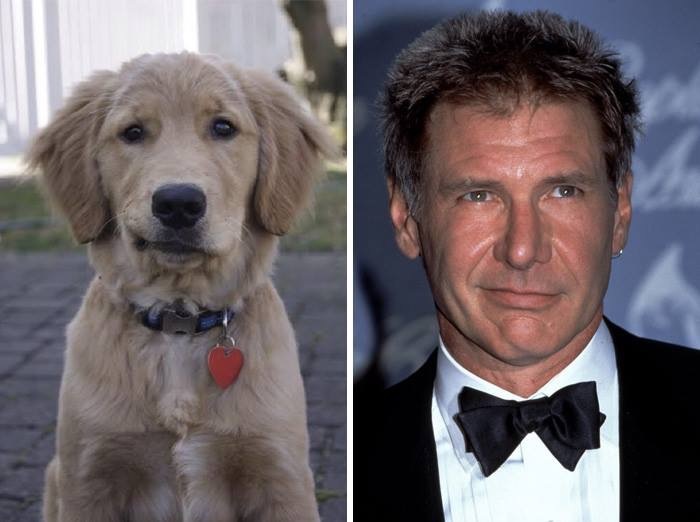 May the force be with Professor Indiana Jones because this Golden Retriever might just overshadow Harrison Ford with her cuteness. Leonardo Dicaprio. 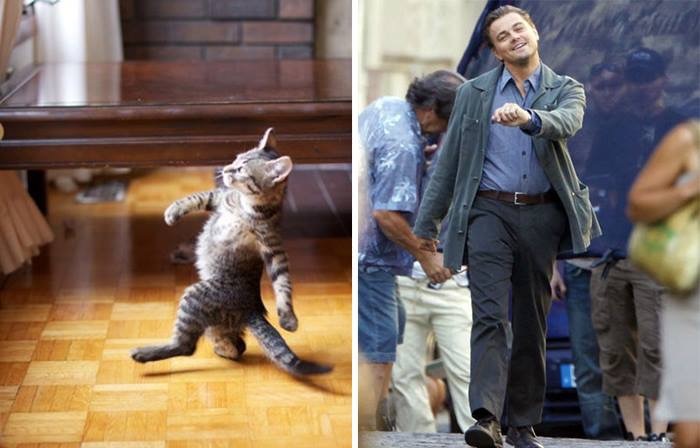 Leo might have some swagger, but nothing on this little lion! 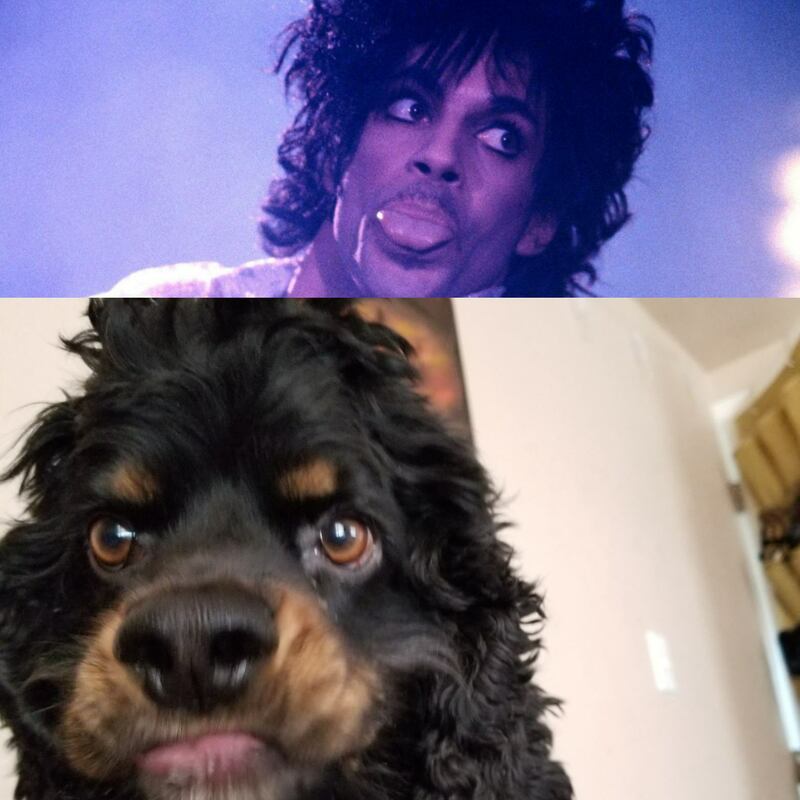 Prince. Let’s Go Crazy for this Prince likeness, because it’s so good that it might be the time When Doves Cry. Bob Weir (Grateful Dead). Just like the Grateful Dead’s Bob Weir, this pup has a Touch Of Grey but just keeps Truckin’. Samuel L. Jackson. 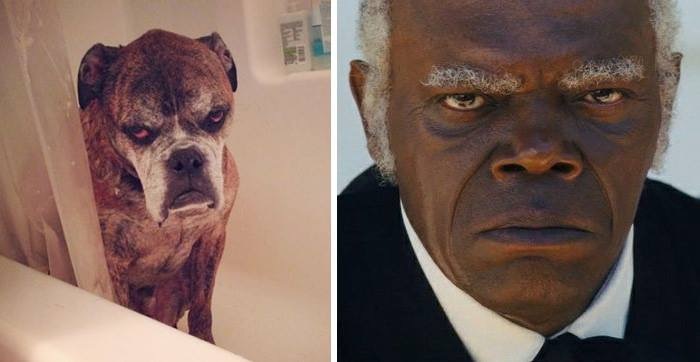 Both Samuel L. Jackson and this pup’s angry face is Unbreakable. 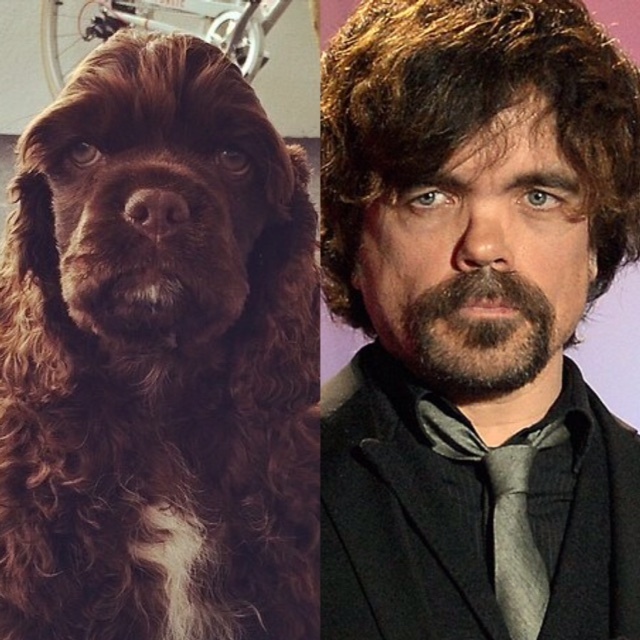 Peter Dinklage. If they ever need a double on Game of Thrones, this dog could stand in for a direwolf or Peter Dinklage! Win-win. 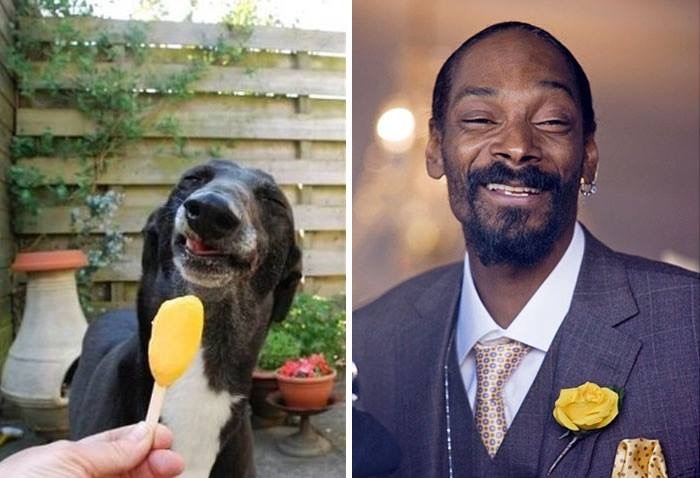 Snoop Dogg. They’re both so… happy. Ron Pearlman. By my Hand of God, this doggo is too adorable to be a Hellboy. 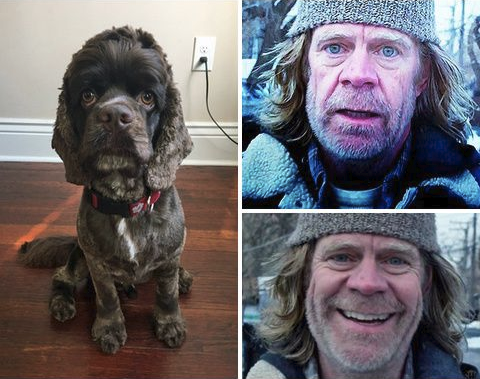 William H Macy. The likeness is almost Shameless! Peyton Manning. 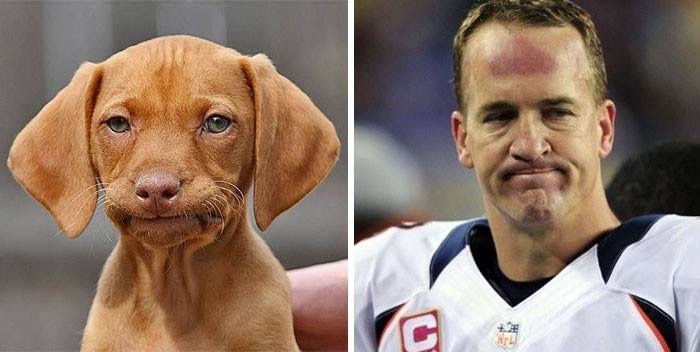 In football, you win some and you lose some, but someone needs to get this pup off the bench and onto the field! Salvador Dali. 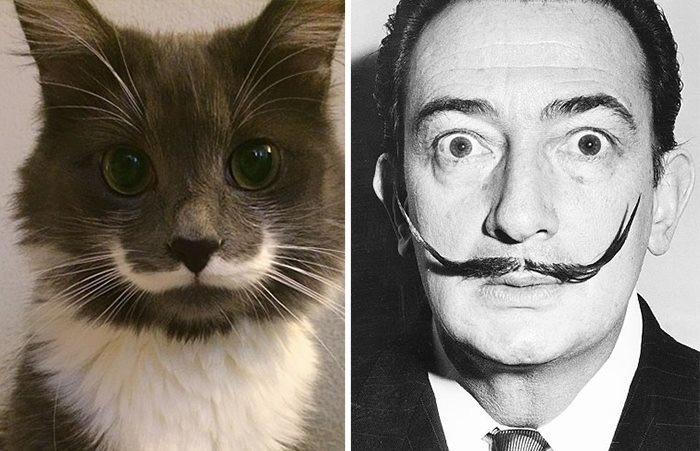 Who would have thought a cat could have a Dali-like moustache? It’s surreal!